Uniworld‘s River Ambassador provides access to the glorious beauties of the Rhine River Valley on nine-day cruises from Basel to Amsterdam. 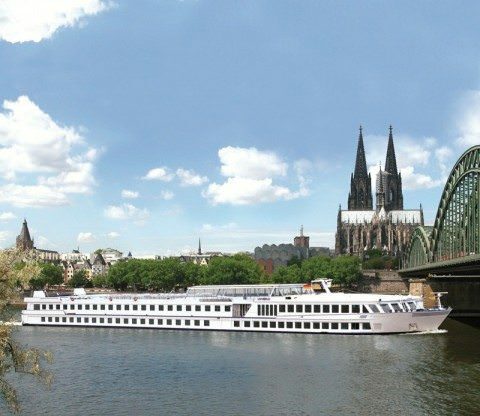 Sister ship to River Baroness, she is richly appointed with comfortable staterooms and amenities, and history buffs, wine connoisseurs and nature lovers will appreciate the medieval wine towns, glorious castles, majestic cathedrals and world-class cities of the Rhine. First launched in 1993 and refurbished in 2011, she is 361 feet long and 37.5 feet wide. She can carry a comfortable 128 passengers in 56 staterooms and four suites. There are three stateroom categories and one suite category aboard River Ambassador. 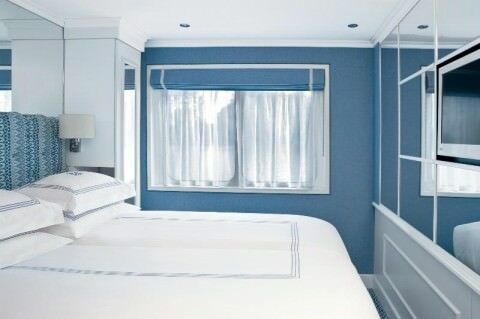 Lavishly appointed riverview staterooms and suites have handcrafted Savoir® of England beds draped in 100 percent Egyptian cotton linens and European duvets, along with a menu of pillow choices. Stateroom and suite amenities include: generous built-in closets, hair dryer, individual climate-control thermostat, direct-dial telephone, flatscreen TV with infotainment center, and safe. Marble bathrooms include: L’Occitane en Provence and Hermés bath and body products, plush towels, bathroom towel warmers, backlit magnifying mirror, heated mirrors, cozy bathrobes and slippers. All suites are uniquely decorated and have additional amenities and services, including: in-suite butler service; packing and unpacking assistance; in-room breakfast; daily fruit and cookie plate, and an elegant evening snack; iPod dock; Nespresso coffee machine and fine teas; fully stocked minibar; bottle of wine upon arrival; shoeshine; and free laundry service. The ship was entirely refurbished in 2011, resulting in a new design and color scheme throughout. The ship features wireless internet access throughout, as well as a lounge offering panoramic views, a bar, an elegantly appointed dining room, and a library. The ship is also equipped with a fitness room featuring a jet-massaging shower cabin and massage room. A complimentary specialty coffee and tea bar rounds out the mix. Out on deck, passengers will find ample space for sunning and sightseeing. Guests also have the use of complimentary bicycles and Nordic walking sticks while ashore. 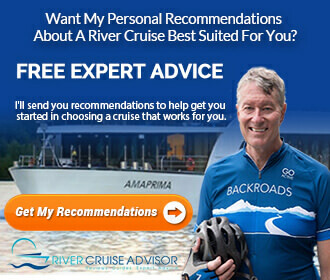 River Ambassador was named one of the world’s “Top Small Cruise Ships” by readers of Conde Nast Traveller. There is no passenger elevator aboard River Ambassador. 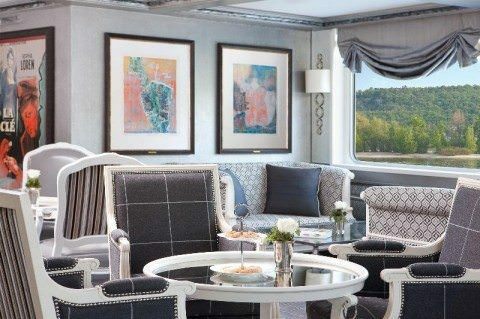 River Ambassador was completely remodeled in 2011, resulting in a new design and color scheme and offering French Balcony staterooms for the first time. All staterooms aboard River Ambassador are fitted with 220 volt, European style two-prong plugs. North American cruisers should bring an adapter, such as the Samsonite Europe Non-Grounded adapter. 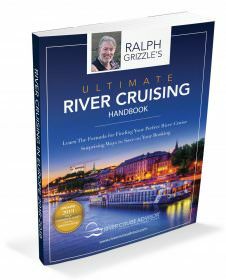 Read other articles about the River Ambassador.